With Florida practically at our door step here in Georgia, options for weekend escapes in the Sunshine State abound. Feel like letting off some steam on the dance floor? Make your way to Miami. Have a hankering for the arts and some seriously ritzy R&R? Plan a weekend in Palm Beach. And if you want to kick off your shoes and completely unplug, the Keys can’t be beat. But if your preference falls somewhere in between—a mix of lazy beach days, leisurely bike rides, calorie-torching tennis, world-class craft beer, culture, and some surprisingly excellent eats—set your sights on Sarasota. 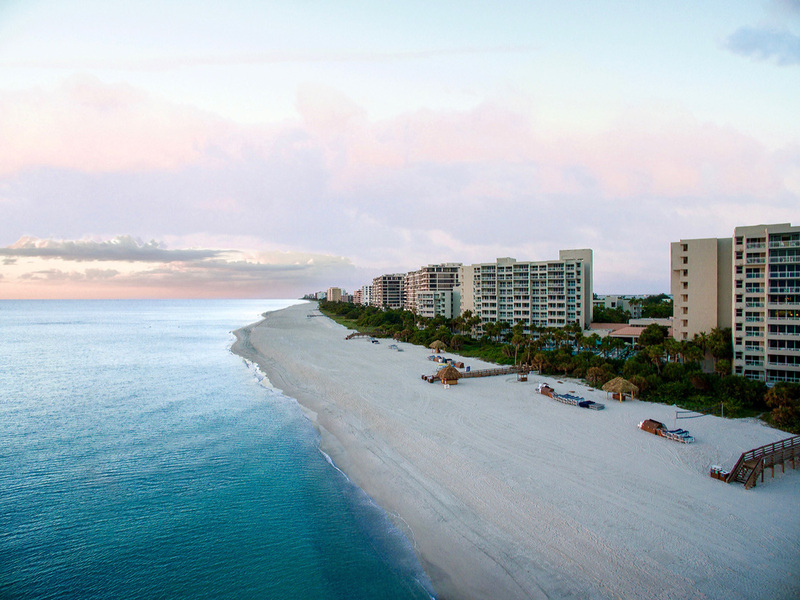 With direct routes out of ATL, an easy, 90-minute flight will place you square in the lap of Sarasota’s laid-back luxury. In need of some salty ocean air and stiff sea breezes, we recently packed our weekend bags and jetted south to the coastal city. Lido’s Tiki Bar serves up tropical cocktails and tasty bites. Our first stop was Lido Beach Resort, which recently completed a renovation of all 223 rooms and suites on the property. Two days and nights at the beachfront resort sailed by, thanks to Lido’s sugar-soft beach and too-convenient Tiki Bar that slings some delicious tropical cocktails. (We were partial to the Classic PainkillR.) Even when a few showers set in, we didn’t mind, all too happy to hang out on our private balcony with a good book and even better views of the approaching system and the Gulf’s silvery surface. With an emphasis on easy living, the resort’s condo-style suites are outfitted with full-size fridges and full-service kitchens. Translation: convenient, homemade meals and snacks during breaks from the beach. 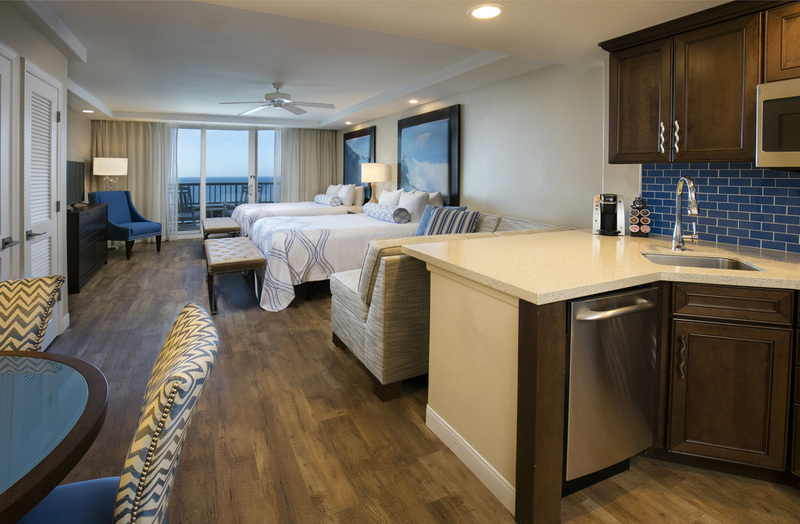 Condo-style suites give Lido Beach Resort guests extra flexibility. That’s not to say, however, that we holed up in our suite the whole time. No trip to Sarasota would be complete without exploring St. Armands Circle, surrounded by jewelry, clothing and gourmet boutiques plus cute cafes and can’t-miss restaurants. Our favorite among the latter: Shore Diner, where we shared roasted beet and kale salads, Maine lobster sliders and tuna tartare with our travel companions. (Looking for something light on carbs? Don’t miss the lobster, shrimp and crab Cobb salad.) When you’re finished, have a look around Shore’s ground-floor boutique that teems with colorful accessories, slinky swimsuits and a plethora of patterned, summer-ready sneakers. Curious to explore more of the area, we packed up and moved to the Resort at Longboat Key Club, just a couple miles north. The resort exudes quiet luxury and is home to the internationally renowned, 20-court Sarasota Tennis Gardens, which meant we couldn’t pass up the chance to rally and practice our serve there alongside a seasoned pro. Although world greats including Andy Roddick have played at the Gardens, our affable pro was more than happy to accommodate our less-impressive skills. 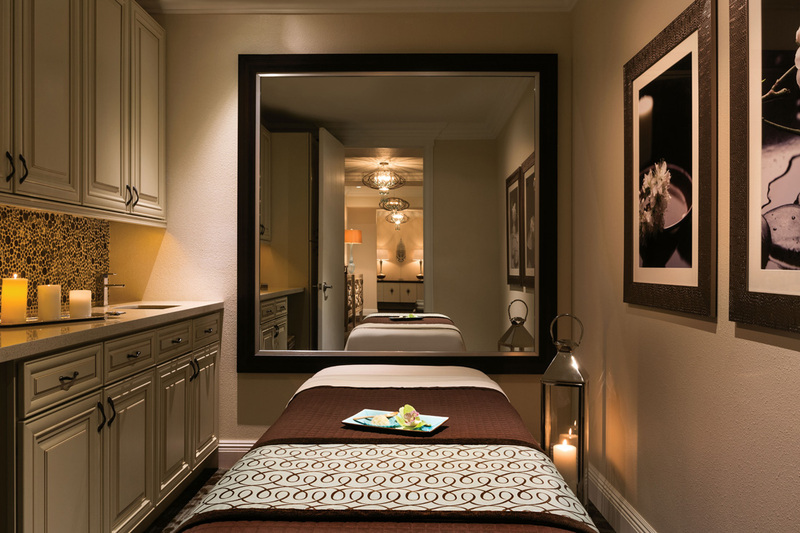 Massages are a must at Longboat Key Club’s tranquil spa. Post-tennis, you can soothe stiff muscles at the resort’s spa that offers a full menu of massages, facials, rituals and other services. A state-ofthe- art Mind & Motion studio offers yoga, tai chi, Pilates and meditation sessions. (We felt totally zen following a Moonlight Meditation session.) And when it was time to refuel, the resort’s Italian restaurant, Portofino, was our favorite, serving up honest to- goodness Mediterranean fare, along with delicious wine and jawdropping marina and water views. With still plenty left to explore before our weekend came to a close, we headed into town to visit The Ringling, a lavish complex comprising romantic rose gardens, an art museum and an over-the-top, Italianate mansion called Ca’ d’ Zan that was built by the late circus magnate John Ringling for his beloved late wife, Mable. Bring your iPhone—every turn brings with it an Instagram-worthy photo op. Post-Ringling, our parched group sidled up to the bar in the cool shade of JDub’s Brewing Company, a craft brewery, tap room and beer garden owned and founded by Jeremy Joerger just three years ago. Joerger arrived in Sarasota by way of Washington, D.C., where he left behind a lucrative job to realize his dream of owning a brewery. So far, it seems to have been a smart move—at least as far as we’re concerned. Mirroring much of our Sarasota experience, JDub’s welcoming staff quickly felt like friends—especially its director of hospitality, BK, who walked us through the brewery and its history, and gladly served up samples until we found our favorite brews. The winner? Poolside, a light and refreshing Kolsch-style ale, and the perfect Sarasota-made sip with which to toast our successful weekend adventure. 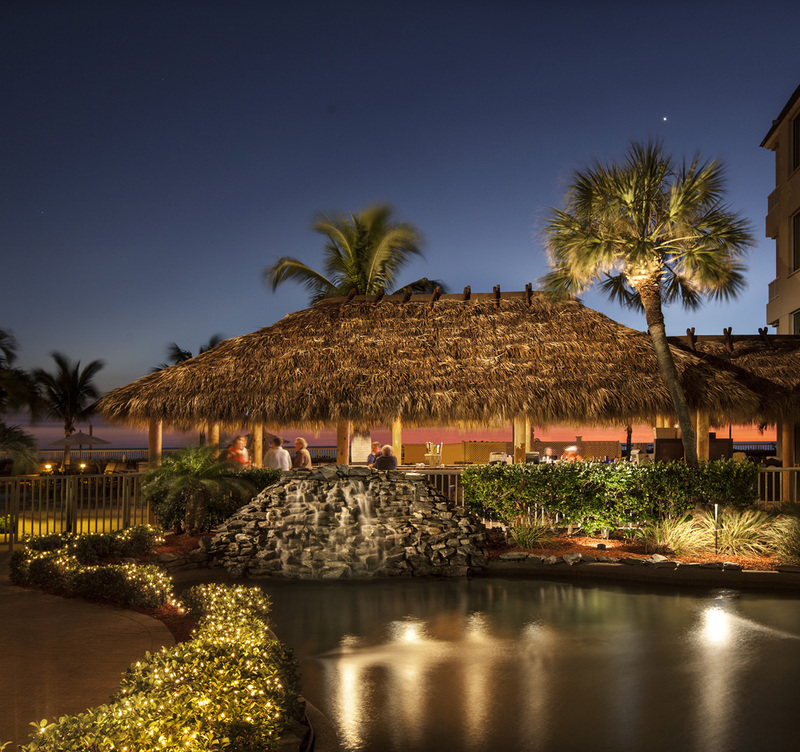 The Resort at Longboat Key Club’s postcard-perfect setting.